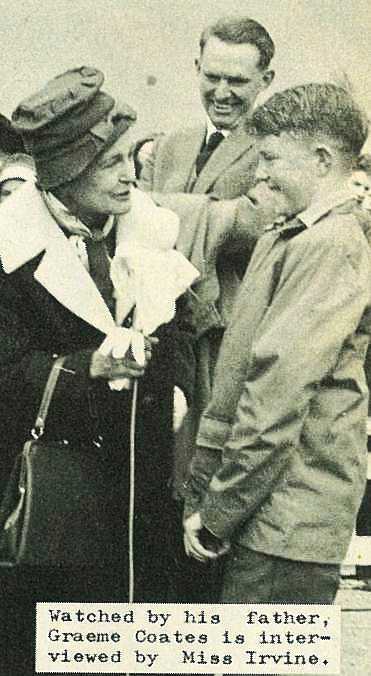 On alighting from the plane at Darton Field, Mrs Coates was greeted with a cheer from the crowd followed by the singing of "For she's a jolly good fellow". 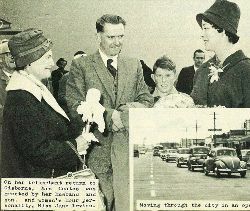 After welcome speeches and interviews had been dispensed with, she left the airport in an open car and was driven through the city to the official reception. 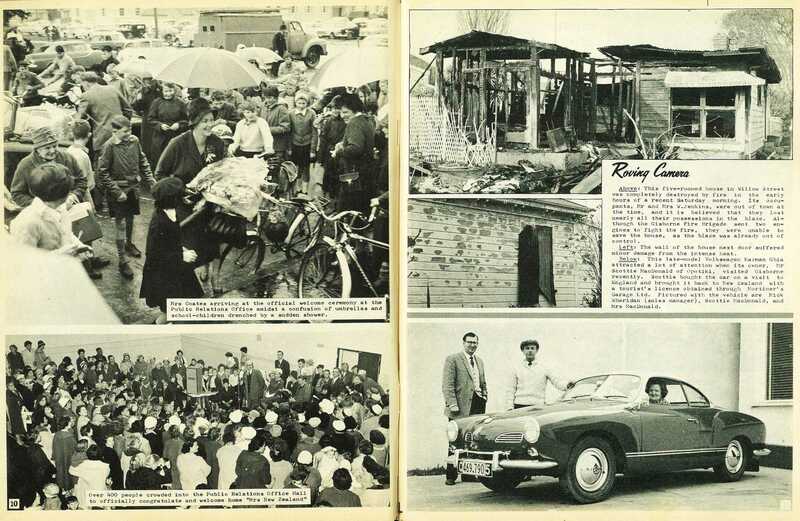 Unfortunately, a sudden shower marred events at this stage, and the reception was transferred from Kelvin Park to the P.R.O. hall. Mrs Coates is the mother of four children ranging from two to 16 years of age, is a member of the women's group which administers the Heni Materoa Home, and is actively associated with the Outward Bound movement. 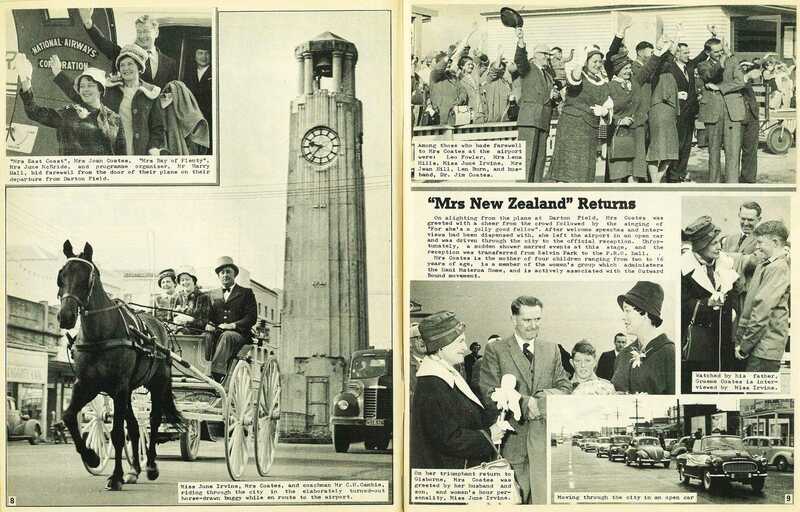 Among those who bade farewell to Mrs Coates at the airport were: Leo Fowler, Mrs Lena Hills, Miss June Irvine, Mrs Jean Hill, Len Burn, and husband, Dr. Jim Coates. 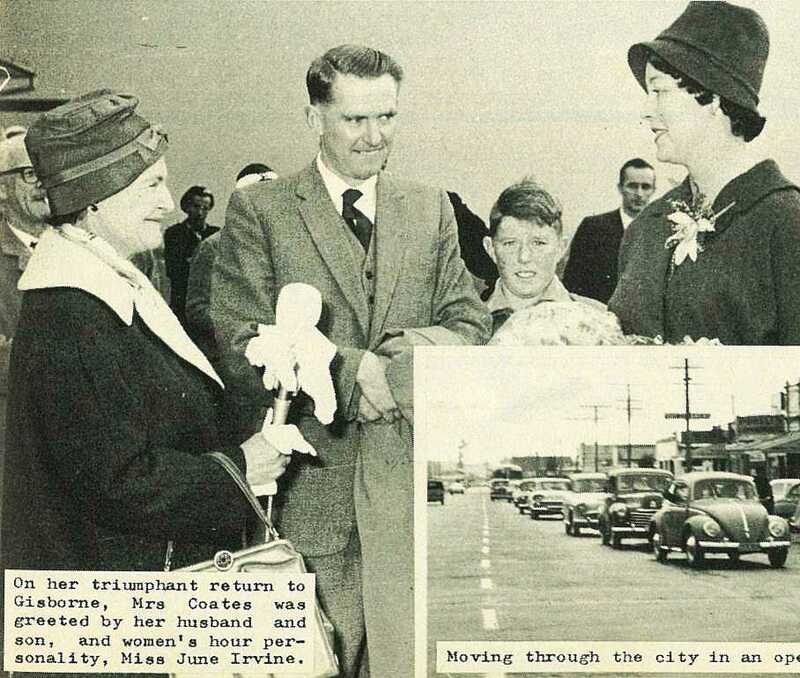 On her triumphant return to Gisborne, Mrs Coates was greeted by her husband and son, and women's hour personality, Miss June Irvine. 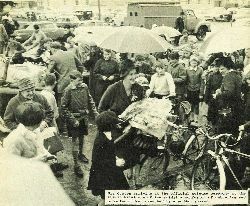 Watched by his father, Graeme Coates is interviewed by Miss Irvine. 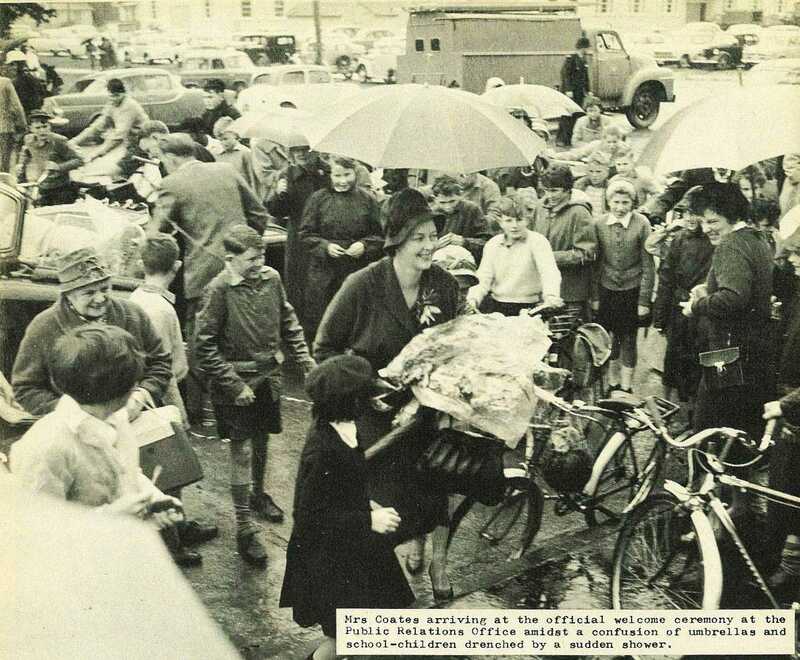 Mrs Coates arriving at the official welcome ceremony at the Public Relations Office amidst a confusion of umbrellas and school-children drenched by a sudden shower. 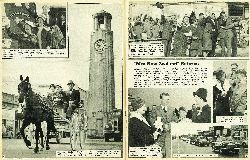 Over 400 people crowded into the Public Relations Office Hall to officially congratulate and welcome home "Mrs New Zealand"